It was eerily quiet at the Las Vegas stadium construction site Monday. Construction workers were able to take the Veterans Day holiday off on a day of the week usually filled with pounding, pouring and moving tons of steel into position for the next job sequence. There’s no requirement for companies to hire veterans that have re-entered the workforce upon leaving the military, but subcontractors for some of the biggest projects in Southern Nevada are seeking out military veterans because of their leadership skills and investment in teamwork. With the Caesars deal in place, it’s getting closer to the time for clarity about gambling at the stadium, which currently wouldn’t be allowed. Caesars Entertainment Corp., the operator of Caesars Palace and eight other Las Vegas casino properties, has signed a 15-year agreement to be a founding partner of the $1.8 billion Las Vegas stadium. The NFL’s premiere game generally occurs in the first week of February, right around one of the sweet spots for some major conventions and trade shows. 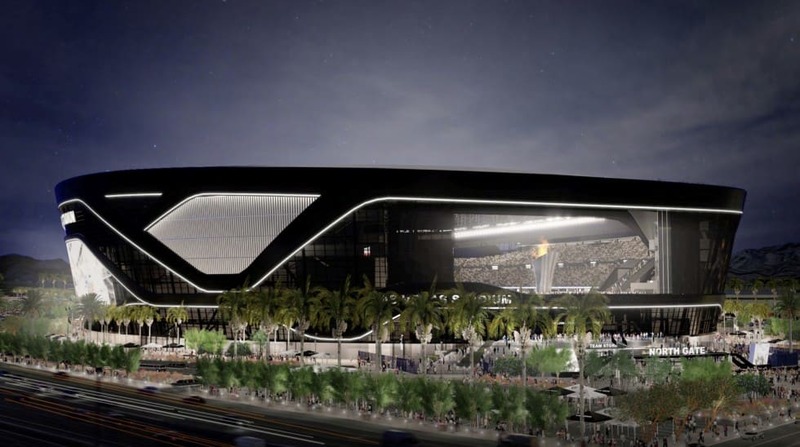 Stadium builders reached a critical stage in the construction of Las Vegas’ 65,000-seat, $1.8 billion indoor football stadium this week as they took the first step toward going vertical. Looking for something specific in Stadium?